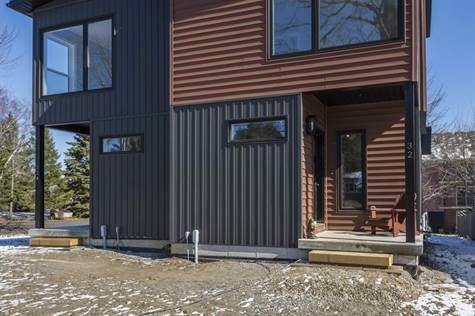 Bedrooms: 2 "Each Unit Features 2 Bedrooms"
PICTON DUPLEX - Showcasing sleek modern architecture, the attractive facade in the heart of Prince Edward County offers enlightened living with a canvas to be creative from pure investment or living at home with supplementary income. Consisting of high quality construction this new build duplex is a rare find and turn-key. Clean lines, strategic window placement, open floor plan and over 1118 SQ FT per unit are just a few perks. Featuring 2 Bedrooms,1.5 Baths, separate entrances, all within walking distance to downtown Picton. Lots of opportunity to finish the basement as desired and add even more living space. With Easy access to amenities and some of the best destinations at your door step this one of a kind property in an excellent location for year round living or seasonal vacations in The County! Information is deemed to be correct but not guaranteed. Information may come from a variety of websites with constantly changing content. The contents should be verified by the reader.